Is your number up? – Can we find you? 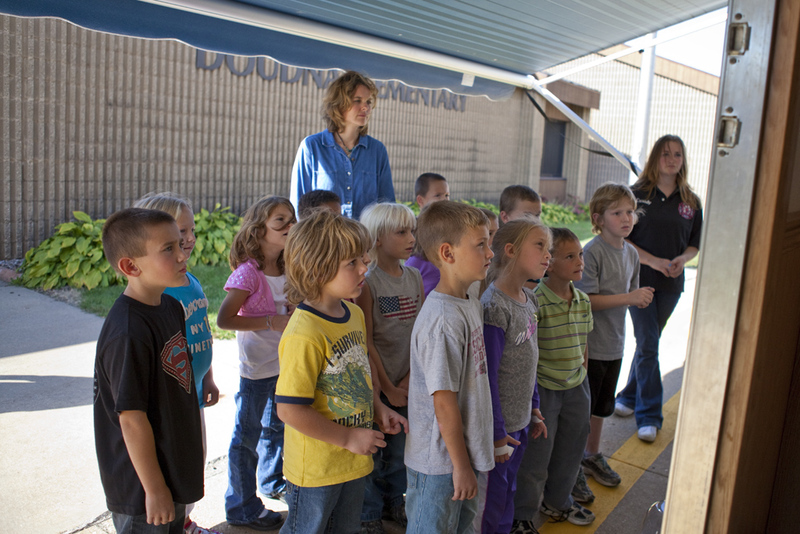 Children watch a fire safety video before entering the house. A firefighter answers questions about kitchen safety. 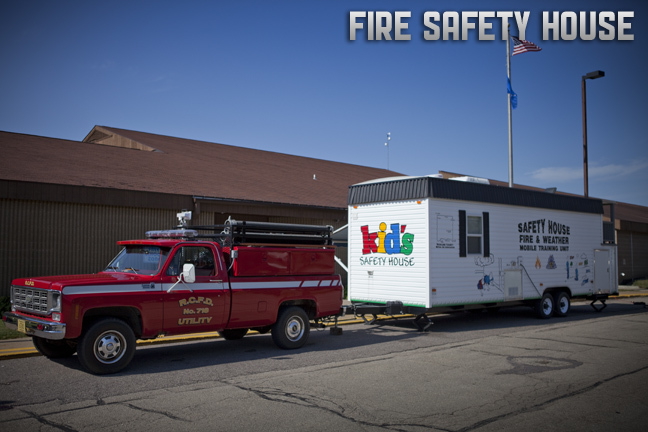 Using a phone that calls the safety house control room, a child practices calling 9-1-1 and reporting a fire. 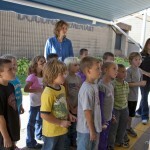 The phone call is broadcast on speakerphone so all of the children can hear. As smoke fills the bedroom area of the safety house, firefighters teach the children about staying low and crawling under the smoke. 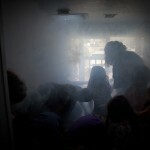 A child opens the bedroom window to exit the smoke-filled room. Children are helped down the exit ladder of the safety house.